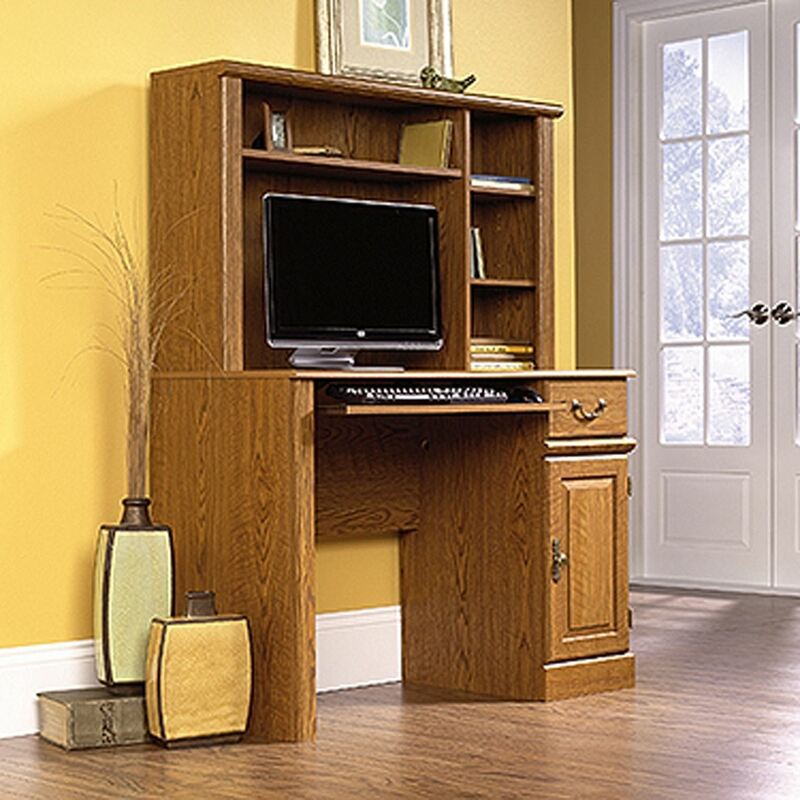 Orchard Hills Computer Desk W/hutch Carolina Oak By Sauder. 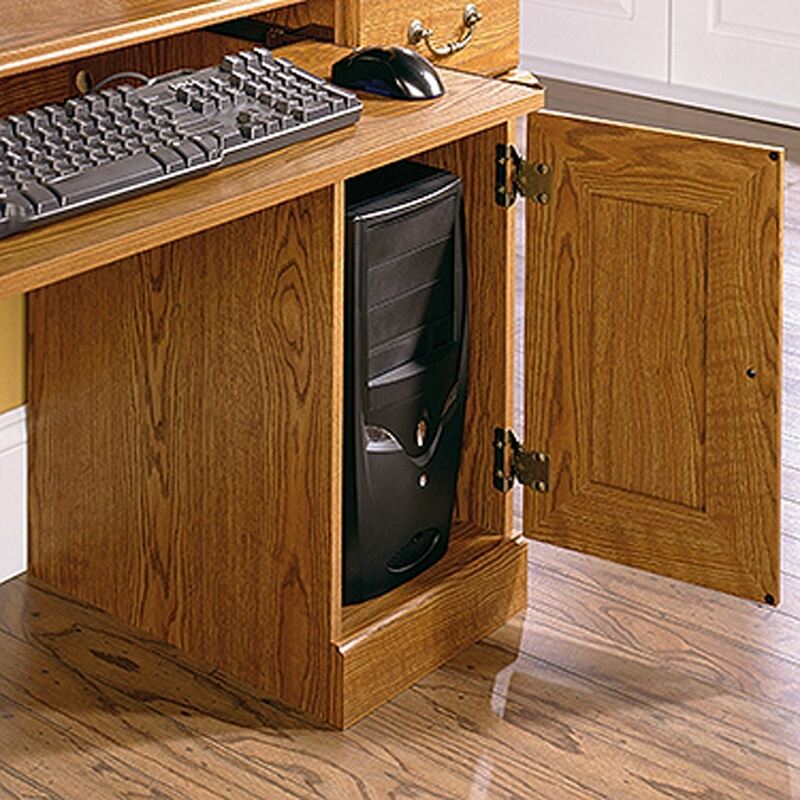 This computer desk with hutch has a slide-out keyboard/mouse shelf with metal runners and safety stops and a spacious drawer that features the patented T-lock assembly system. 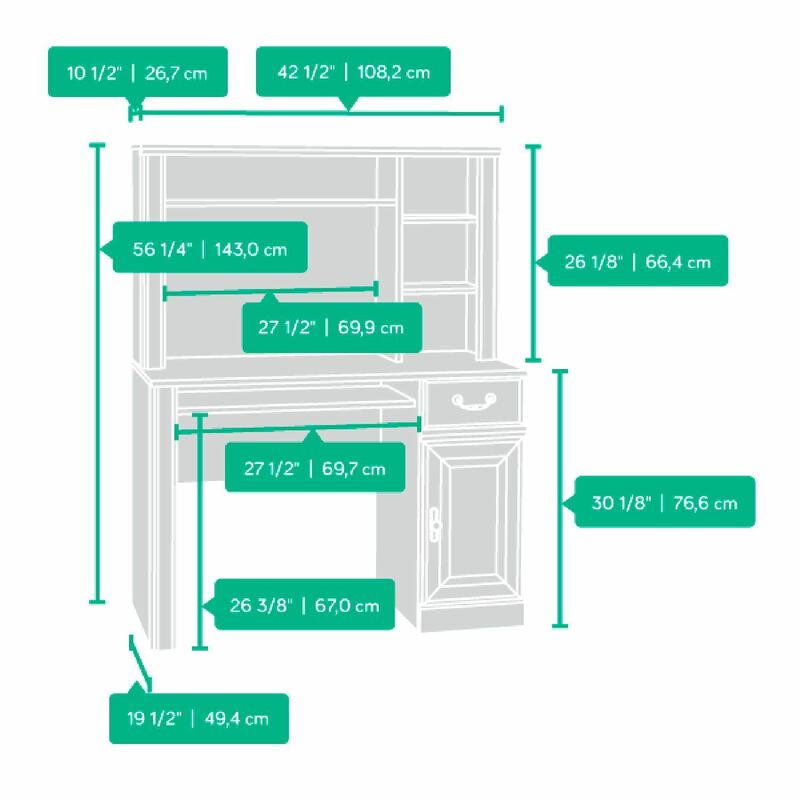 The storage area behind this computer desk's raised panel door holds a vertical CPU tower. Hutch features three adjustable shelves. This computer desk with hutch has a Carolina Oak finish.